It wouldn't be the end of summer without Cross Canadian Ragweed's annual Red Dirt Roundup. The line-up for the Fourth Annual Red Dirt Roundup has been announced, and it's filled with top names in Texas Music. The event will be held at the Historic Stockyards in Fort Worth, Texas on Sunday, Sept. 6. The former cattle pens (the "North Forty" fields just east of Billy Bob's Texas) will be the home of the all day concert. The Red Dirt Roundup will include two stages of non-stop music entertainment, and the shops and restaurants in the historic stockyards district will provide additional fun for concertgoers. 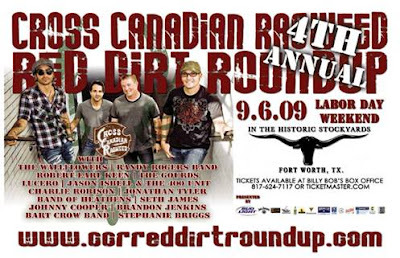 Texas Music is the most represented music genre at the Red Dirt Round-up and includes Robert Earl Keen, Johnny Cooper, The Randy Rogers Band and, of course, Cross Canadian Ragweed. But alternative rock will also be represented with The Wallflowers, featuring Bob Dylan's son Jakob Dylan. Music Video: Carrie Underwood "Cowboy Casanova" from "Play On"
Here's the new video for the single "Cowboy Casanova" from Carrie Underwood. The single "Cowboy Casanova" is almost certain to be a Number One country chart hit, and the album "Play On" will definitely open at Number One on the Billboard 200 when it is released on Nov. 3. 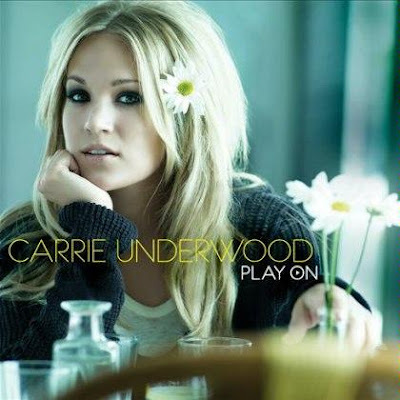 Pre-order Carrie Underwood "Play On"
Buster Jiggs is no ordinary Texas country band. This uniquely-named group from Hondo, Texas is releasing its first album for Fort Worth's Smith Entertainment titled "Heartache Jubilee." With a female lead singer and a band mascot consisting of a little red devil playing guitar, Texas music fans will find that Buster Jiggs' new album offers classic Red Dirt musical stylings along with a devilish sense of fun. The band formed ten years ago with a male lead singer, and Kristen Muennink only became Buster Jiggs' lead singer in 2007. Her husband, Scott, is the band's drummer. "Heartache Jubilee" begins with "She's Gonna Break Your Heart." Kristen offers a rich, full-bodied Red Dirt vocal performance that is never forced. Texas music rarely offers exceptional female solo artists or lead singers, and Kristen's fine vocals set Buster Jiggs apart from the current crop of Texas bands. Jason Eady's strong baritone vocals sparkle and surprise on his third album "When The Money's All Gone." Each song is as socially relevant as the album's title, and the Mississippi native's new project is the most musically innovative of his career with elements of soul, gospel, blues, country and Cajun music. The album's cover art shows a long stretch of power lines with what appear to be empty factories in the background. 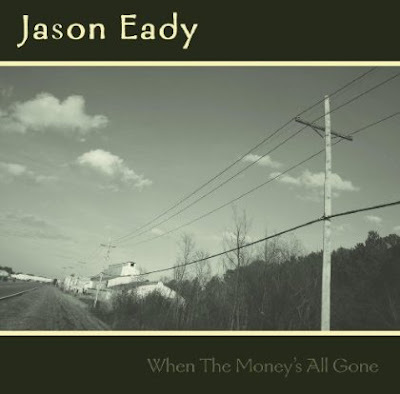 The concept of the album "When The Money's All Gone" is perfect for the tough times we're living in, but Jason Eady's music doesn't seem to dwell on the negative. In fact, the album starts out with a New Orleans-style, gospel party song "God Fearing Blues." It's almost impossible to stop yourself from clapping your hands and tapping your feet when listening to the opening song. Be sure and watch the CMA Music Festival tonight (August 31) at 8/7c. It's gonna be a great program jam-packed with classic country music performances. This year's country music line-up includes Kellie Pickler, Julianne Hough, The Zac Brown Band, Kid Rock, Sugarland, Taylor Swift, Kenny Chesney, Miranda Lambert, John Rich, Reba McEntire, Jamey Johnson, Martina McBride, The Judds, Trace Adkins, Jake Owen, Lady Antebellum, Jason Aldean, Darius Rucker, Brad Paisley, Brooks & Dunn and Dierks Bentley. The 2010 Country Music Association Festival is June 10-13. If the 2009 show is any indication, the 2010 show should not be missed. Willie Nelson's new album will soothe the soul. In a world currently filled with Ponzi schemes, home foreclosures and plunging retirement accounts, "American Classic" provides listeners with a vacation from reality that reminds them of years gone by and better days ahead. In the tradition of Willie Nelson's critically acclaimed "Stardust," "American Classic" is one of the best albums of the year in any genre. 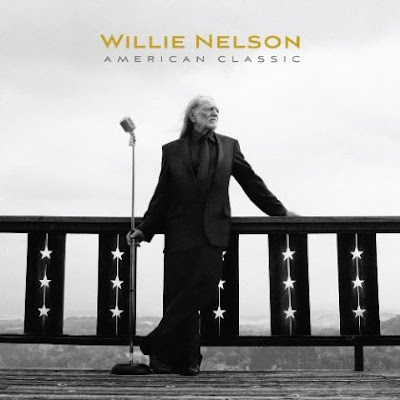 "American Classic" marries Willie Nelson's pure country voice with some of the best songs ever written. The result is musical magic that casts a spell that won't let you go. The album begins with the terrific "The Nearness Of You." Willie Nelson performs the classic track with an understated elegance. The album picks up the pace with "Fly Me To The Moon," which is a toe-tapping delight. Grant Langston is an enigma. He has the sardonic wit of David Sedaris and the musical sensibilities of a combination of Ryan Adams and Waylon Jennings. Surprisingly, it works. Indeed, this Alabama native turned Los Angeles musician has created his own unique blend of rock and irreverant country. 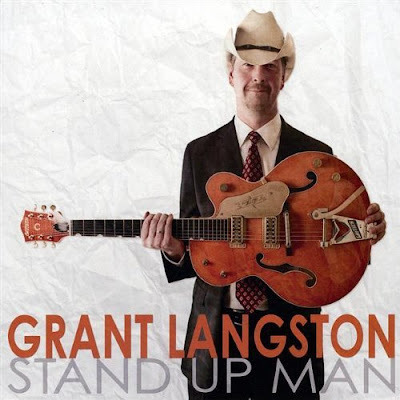 Sure, there are hundreds of rockabilly music acts across the United States, but Grant Langston and his band, The Supermodels, are different from all of them. 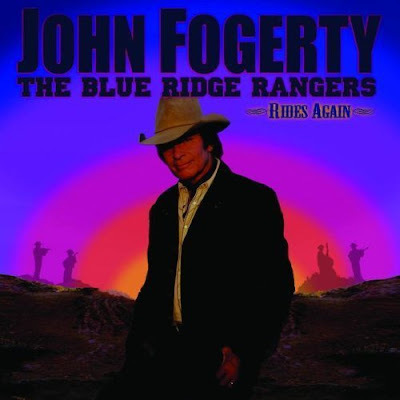 Download John Fogerty "The Blue Ridge Rangers Rides Again"
The new John Fogerty album "The Blue Ridge Rangers Rides Again" will be released tomorrow. But you can download it today - a day early. This twelve song collection has a classic, traditional country sound combined with John Fogerty's classic style. It will be a welcome addition to your music collection. One listen to his terrific cover of "Heaven's Just A Sin Away" or the melodic "When Will I Be Loved," and you'll be hooked like a catfish on stink bait. Download John Fogerty "Rides Again"
Times are tough for everyone, and musicians at all levels are feeling the financial pressure of decreased concert attendance and lower merchandise sales. So Scott Miller had an idea. He pressed 1,000 CDs full of fresh demos he produced himself on a home computer titled "Appalachian Refugee Demos," and he promised each buyer handmade cover art. 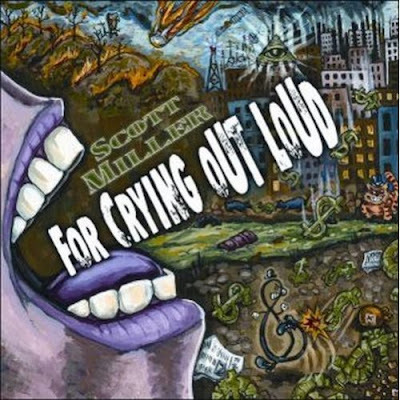 The albums sold out quickly on his website, and every cent was used to produce Scott Miller & The Commonwealth's stellar new album "For Cyring Out Loud." Considering how the album was financed, "For Crying Out Loud" begins with the appropriately titled "Cheap Ain't Cheap (For Crying Out Loud)." This track is an amalgamation of styles that is unusual for Scott Miller, but this rockin', sing-along anthem works by providing relevant social commentary for Americans trying to decrease their spending. Kendel Carson is a beautiful blonde with a gorgeous, Americana voice. For the last two years, she's performed all over North America and Europe following the release of "Rearview Mirror Tears." And if Kendel Carson's unique blend of rock and country won't get you going, absolutely nothing will. 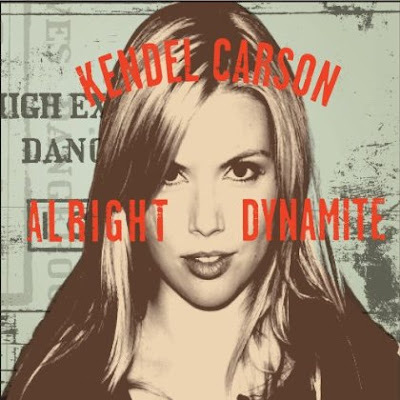 This woman is destined for great things, and her new album "Alright Dynamite" proves it. The album begins with the sultry "Oh Baby Lie Down," which has a killer melody, compelling harmony and soft instrumentation. It's followed by the terrific, upbeat "Belt Buckle" which shows the influence of Americana giants like Lucinda Williams. However, "Alright Dynamite" really hits its stride with the tender "Lady K." The song begins softly and builds to a mesmerizing crescendo. Shane Howard likes to talk about his tiny hometown of Riesel, Texas near Waco. No doubt, this small town of less than a thousand people gave Shane Howard hundreds of song ideas. For instance, the bluesy track "Rumors Fly" is appropriate for any resident of small town America. Riesel gave Shane Howard a good childhood, and the life lessons he learned in Riesel have been set to music in the Shane Howard Band's new album "Out Of Control." Howard pays tribute to his town in the appropriately titled "My Town." He sings: "You ain't been nowhere until you've been to my town." 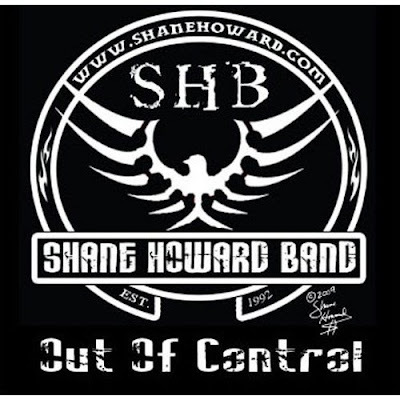 The title track "Out Of Control" shows the Shane Howard Band is an interesting mixture of Texas country and rock. Howard's music and vocals show that he has been influenced by a diverse group of musicians, ranging from 80s hair bands to Red Dirt. Shane Howard's vocal performance is intense, and, as a singer-songwriter, he feels every lyric. 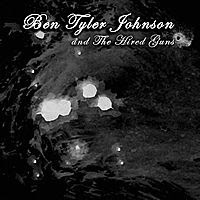 Ben Tyler Johnson and his band, The Hired Guns, are bursting with Texas energy and raw emotion on their new self-titled EP. After making a name for himself in his home of Smithville, Texas, Ben Tyler Johnson is ready for greener pastures and country music success. The five-song EP begins with "Trouble Was My Middle Name," which is a dark, brooding Texas country cut. Although he's just barely over the legal drinking age, Ben Tyler Johnson has the voice of someone much older, and he gives the impression that only a few years ago "trouble" really was his middle name. As a songwriter, Ben Tyler Johnson has a willing audience ready to listen to his stories in song about his more rebellious years. Mark Wayne Glasmire is in his early 50s, has a name that doesn't exactly roll off the tongue and looks like your next door neighbor. 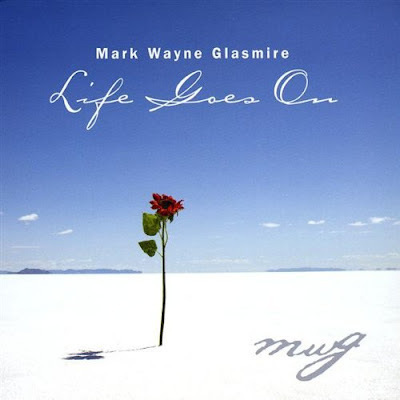 Throw all those supposed liabilities in the mix, and Mark Wayne Glasmire is still the best up-and-coming Americana artist in the United States today. One listen to Glasmire's fantastic new album "Life Goes On" will make you scratch your head and wonder why this mild-mannered, Arlington, Texas singer-songwriter isn't already a household name. The album begins with the beautiful ballad he wrote "True Love Knows," which has an interesting Lonestar meets Darius Rucker sound. 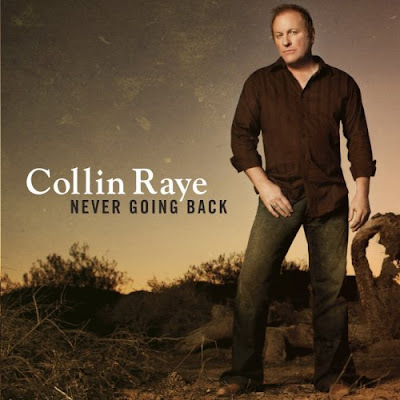 The next track, "You Opened My Eyes," has a refreshing contemporary country sound mixed with a vocal style reminiscent of John Denver.